On 06-24-15 at approximately 3:50 a.m., Officers were informed by a citizen that 2 suspects had burglarized his vehicle about a hour earlier and were last seen walking east bound on Seymour Hwy. Upon arrival in the area, officers observed the suspects walking in the area described by the victim. 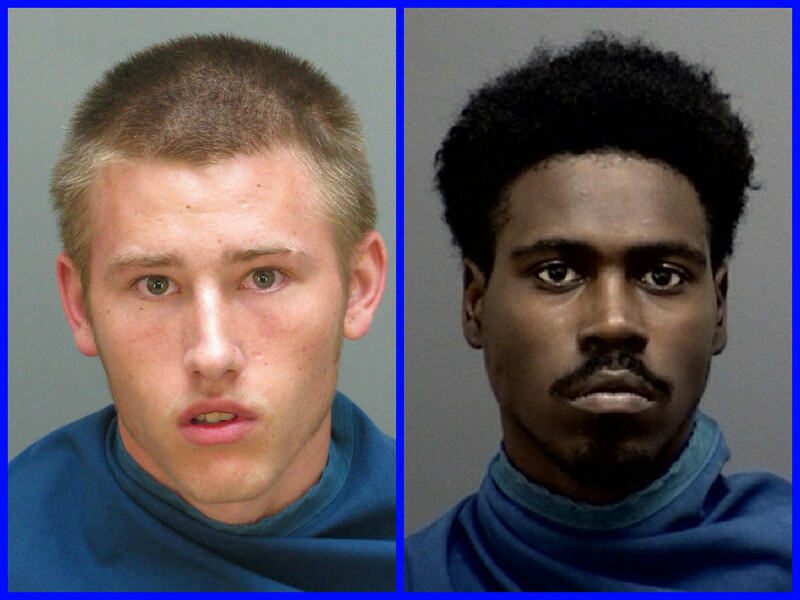 Both of these individuals matched the description of the burglary suspects given by the victim. Officers attempted to make contact with the individuals to detain them for questioning about the recent vehicle burglary. Both suspects ran into the wooded area of Seymour Hwy and 9th Street. After a brief search the suspects were located and taken into custody in the 400 block of W Rogers. Both suspects were charged with evading arrest/detention and burglary of a vehicle. The offenders were identified as B/M, Clifton Carr and a W/M Johnathon Hutchinson. The victim’s property was recovered at the scene.